You'll be £30.00 closer to your next £10.00 credit when you purchase Collectable Names and Designs in Womens Fashion. What's this? Although there are many books on the shelves dedicated to this subject where 'Collectable Names and Designs in Women's Fashion' differs is that it looks at why many fashion pieces have become highly regarded within collector's circles. Throughout the pages Tracy will be sharing her own personal fashion knowledge on what to look out for, where to buy and explain the origins behind those iconic vintage pieces. She will also be looking at why retro fashion is suddenly in such high demand and which of the modern fashion items you should be investing in now for the future. 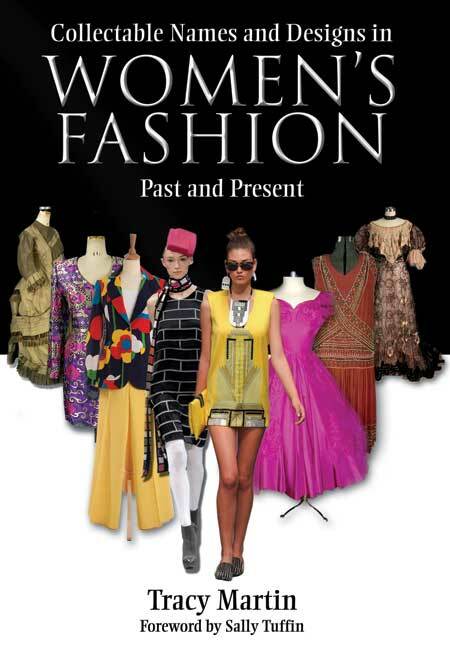 Another aspect of fashion which Tracy will be examining is nostalgia and she guarantees that this book will take you on a trip down memory lane as she explores the various decades and the history behind the times. Tracy will also include the lives and times of the pioneering fashion designers themselves from where they gain their inspiration to how this is then transported onto the catwalks. Tracy Martin is a renowned collectables expert who specialises in fashion and accessories. Regularly appearing on television in shows such as 20th Century Roadshow, Paul O Grady Show, BBC Breakfast, This Morning and more recently an expert on BBC's Flog it! She has also been featured in many publications including Grazia Magazine, the Daily Express Newspaper and Scotland on Sunday. Author of The Greatest Collecting Tips in the World as well as Christmas Collectables, published by Remember When. In her book Collectable Names and Designs in Women’s Fashion, Past and Present, Tracy Martin takes us on a trip down memory lane as she explores how events of the day have influenced fashion, and the inspiration behind some of the most iconic designs. Packed full of great photos, the book is a delight for anyone woman with an interest in style, and the stories behind the clothes we wear.